A superior solvent based quick drying adhesive with excellent adhesion to most common surfaces. 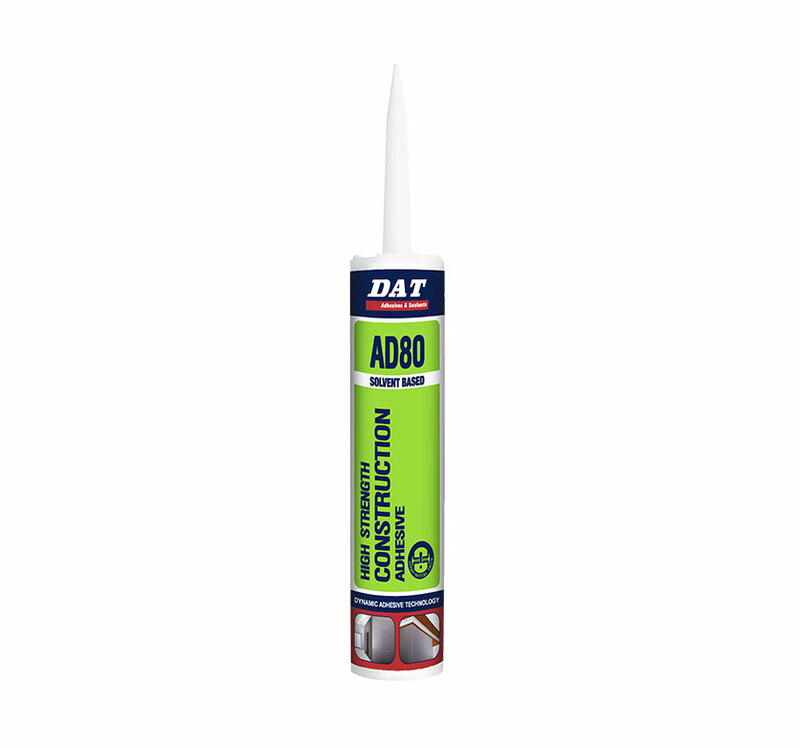 DAT High Strength Construction Adhesive AD80 is a superior quick drying, high initial bond strength synthetic rubber / resin mix in a solvent carrier adhesive. It provides excellent adhesion to most common surfaces, with exceptional early grab properties usable in both vertical and horizontal positions. 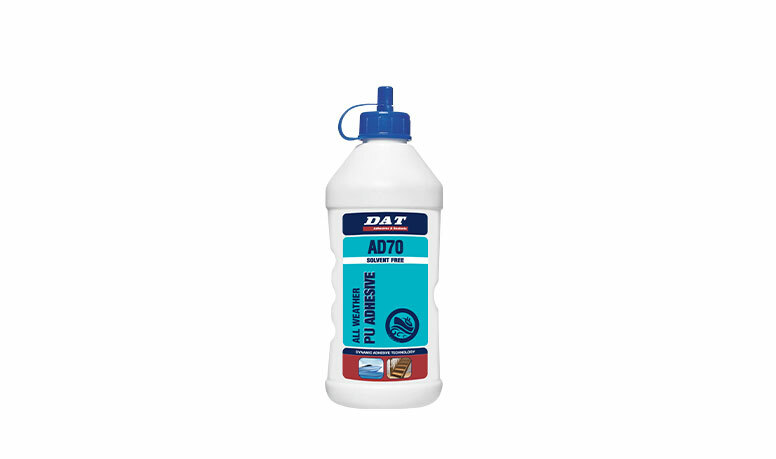 It is ideal for use where both surfaces are non-porous, and has excellent gap filling properties without shrinkage. Due to the exceptional external weathering properties it is suitable for exterior use. This product is not suitable for expanded polystyrene, polypropylene, polyethylene, and Teflon. 1. Cut off the tip of the cartridge nozzle to the required angel and bead size. 6. Clamp large or heavy objects for additional support until the adhesive is fully cured. Store at temperatures between +5oC and +25oC.